Turn your scraps into showpieces! 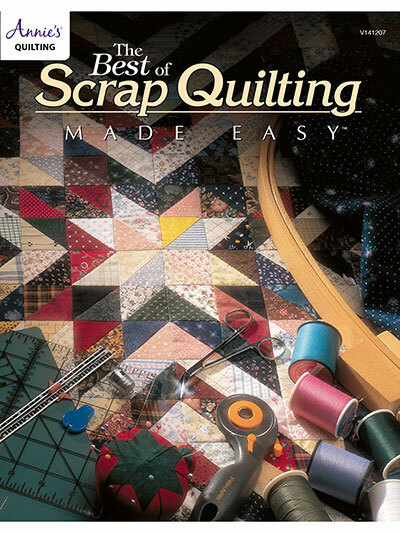 One thing is certain—if you sew or quilt, you have scraps ready and waiting for the right scrap project to come along. Working with scraps is a bit like magic in that it seems you can create something wonderful almost out of thin air! You haven't made a single trip to the fabric store, and you haven't spent a dime, yet you've created a beautiful quilted item to decorate your home or give as a gift. 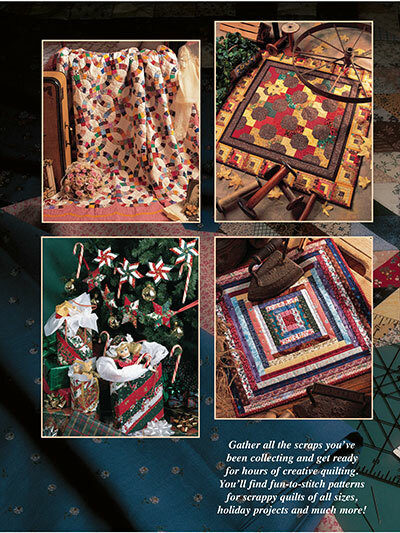 This gorgeous book contains 18 superb projects including quilts for your walls, beds and tables, as well as ornaments and gift bags for the holidays. 100 pages, full color. Excellent pattern book! Have a lot on the go but have ear marked some future quilts to make from book!